3D Printing Additive Manufacturing and 3D Printing: What’s the Real Difference? Additive manufacturing (AM) and 3D printing. These often interchangeable terms get tossed around a lot. Which begs the question, what is the difference between the two and where does the line diverge between them? From a broad perspective, additive manufacturing and the 3D printing process both describe the practice of creating physical objects through the fabrication of materials. But if you look beyond the manufacturing process, there are minor distinctions that must be acknowledged. This blog post will examine additive manufacturing and 3D printing, exploring how both are directly interchangeable yet uniquely different. Additive manufacturing is an industrial production made possible by the transition from analog to digital processes. This transformative approach to manufacturing operations has enabled greater digital flexibility and efficiency in many industries. Unlike traditional manufacturing technologies such as milling, machining and others, which subtracts material to create an object, additive manufacturing adds material. It transforms digital bytes through computer-aided design (CAD) software or 3D object scanners to precisely create a physical, three-dimensional object. The information provided by computer software allows additive manufacturing to layer one super fine material after another. Each successive layer fuses together to fabricate a 3D object. Various substances can be used as an additive material. 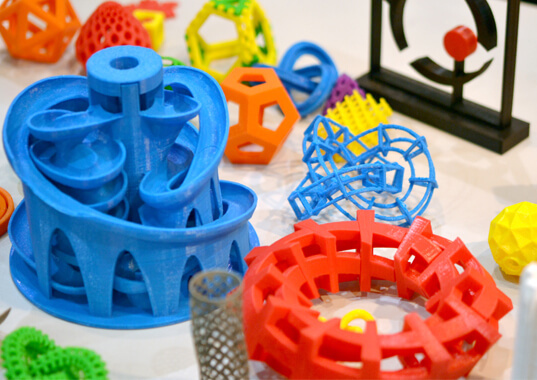 Materials used for 3D printing range from metals and polymers to ceramics and glass. Biochemicals is an explorative field for additive manufacturing. In the near future, bio-inks will be used to create artificial organs, among other healthcare applications. AM’s design flexibility is transforming numerous industries. Similar to the materials it can utilize, applications for additive manufacturing are vast. Aerospace, automotive and healthcare are just three examples of industries benefiting from additive manufacturing processes. With additive manufacturing, parts, components and products can be produced lighter, stronger, and more efficient. Since MIT introduced 3D printing in the 1980s, it has changed dramatically. When it was first introduced in the 1980s, 3D printing was initially called “rapid prototyping.” That’s because originally, the purpose of 3D printing was to create faster and cheaper prototypes. 3D printing services have since evolved from its original prototyping application. 3D printing technology uses a 3D printer to create physical three-dimensional objects from a digital model. It uses additive manufacturing to deposit materials on successive layers-upon-layers to produce the desired end result. 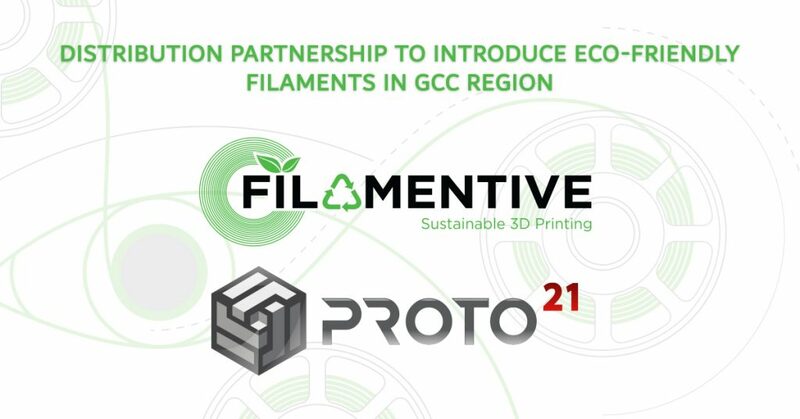 Generally, the term “3D printing” is associated with filament-based plastic printers. Indeed, many consumer 3D printers are filament-based. There are, of course, numerous kinds of printers, including laser metal 3D printers, glass and clay 3D printers, as well as binder jet printers. Materials that can be used with a 3D printer are as varied as with additive manufacturing. Filament, resin and powder are common materials used by 3D printers. From the definition above, rapid prototyping might appear to be another designation of 3D printing. And while that has a degree of truth, it’s a bit more complex than that. Rapid prototyping is an application and a group of techniques of 3D printing. Compared to typical prototyping processes, it is a more cost-effective method. Unlike conventional prototyping which can take weeks or even months to create prototypes, rapid prototyping shortens the design and development cycle. This means the process can be done in a matter of days, depending on the prototype requirements. Based on the explanations and examples provided, it would appear that additive manufacturing and 3D printing are two sides of the same printed coin. So how is 3D printing different from additive manufacturing? 3D printing differs from additive manufacturing in that it is a subset of the latter. Similarly, rapid prototyping can also be defined as a subset of additive manufacturing as it uses an additive process for prototyping. Further, additive manufacturing is associated with the industrial applications of 3D printing technology. It is the advanced method of 3D printing whereas 3D printing is more commonly associated with simpler processes or consumer-oriented production. While the term 3D printing finds more widespread use, a label casually used by the general public and the media, additive manufacturing is heavily favored by industry professionals. Ultimately, as both exist in largely overlapping domains, context will determine the appropriate terminology to use. At Proto21, we have the knowledge and experience to leverage the right additive manufacturing process to your advantage. Have more questions about additive manufacturing and 3D printing services? Contact us today. 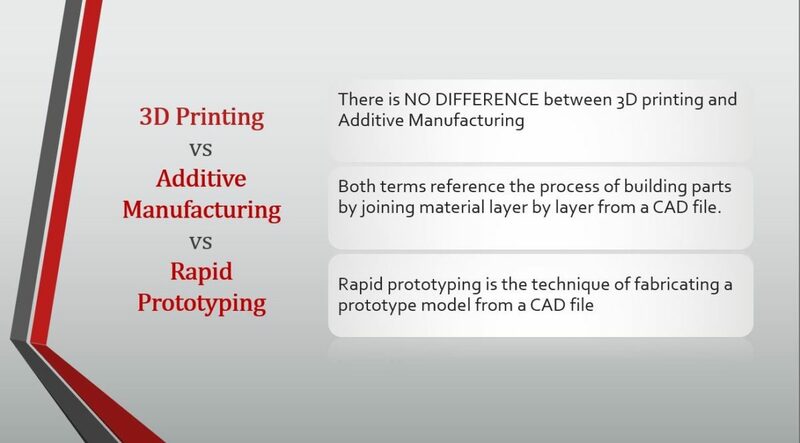 Leave a comment on Additive Manufacturing and 3D Printing: What’s the Real Difference? Trade exhibitions are important marketing and networking platforms for numerous industries. With Expo 2020 just around the corner, Dubai and the rest of the UAE has emerged as a global destination of business exhibitions, events and trade shows. All seven emirates have fantastic exhibition venues that feature state-of-the-art facilities and dedicated resources. For the oil and gas industry, trade exhibitions represent opportunities to gain media exposure, grow brand awareness, and do business. Many industry professionals attend trade exhibitions to showcase their latest products and services. With so many businesses all vying for attention, an innovative approach is required to stand out at such events. Unlike some other industries, it is not easy to bring real-life oil and gas products and services to such venues. An international vendor will have difficulty displaying a large-sized heavy machine like pressure control equipment due to costs associated with shipping, storing and import regulations. To circumvent this challenge, many businesses turn to computer-aided design (CAD) model displays to showcase their products and services. CAD models help exhibition attendees and prospective customers with product visualization. But there’s nothing quite like engaging with a scaled physical model. Advancements in 3D printing technology enable businesses to deliver elevated effects at the next oil and gas trade exhibition. Businesses can leverage rapid prototyping to create perfectly 3D printed scale models of their latest products and services. 3D printed scale models give attendees a first-hand glimpse at how a product works. Engaging product demonstrations enable businesses to educate attendees. After the product demonstration, a qualified trade exhibition team member can field questions, provide solutions and encourage attendees to become qualified leads. Moreover, scale model product demonstrations have the ability to showcase product features and functionality. Such precise demonstrations allow businesses to showcase the uniqueness of their product’s features in greater detail. There are many uses to 3D scale models in oil and gas trade exhibitions. 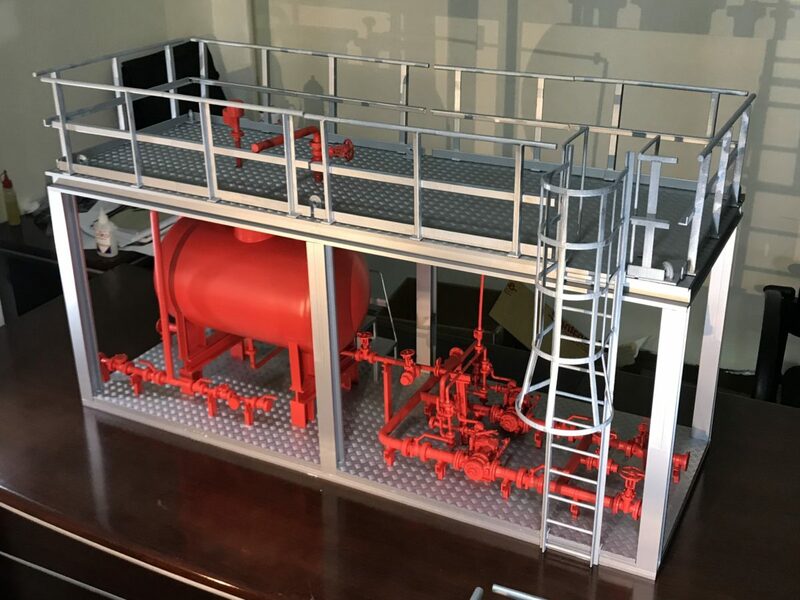 3D scale models can be printed for health and safety training, layout displays of oil and gas facilities, or as mentioned, highlight new functionalities and features in the latest product or service launch. Our 360-degree approach to 3D printed model displays ensures you have the best solution for your trade exhibition needs. This can include anything from customized painting and branding to delivery and installation. To ensure you have realistic scale models that draw attendees to your booth and engage in dialogue, we accompany you through each step of the project. As a 3D printing service company, we have the skills, mastery and experience with 3D printing technology to help you create something that stands out in the minds of potential customers. We also have years of experience in material properties. We have a library of different 3D printing materials featuring plastics, polyamide, sandstone and resin. Such variety allows us to manufacture, finish and paint any presentation scale model your business requires. Unsure about the right type of materials you need to achieve precise life-like presentation models? We can provide materials recommendation that can match your application requirements for any product display or service demonstration. If your goal at the next industry trade exhibition is to display a product that engages and delivers elevated effects that drive business leads, then rapid prototyping scale modeling is a cost-effective way to promote, educate, sell and facilitate industry relationships. Don’t get relegated to the periphery at the next oil and gas trade exhibition. Let Proto21 bring your products, ideas and concepts to life with realistic 3D printed scale models. 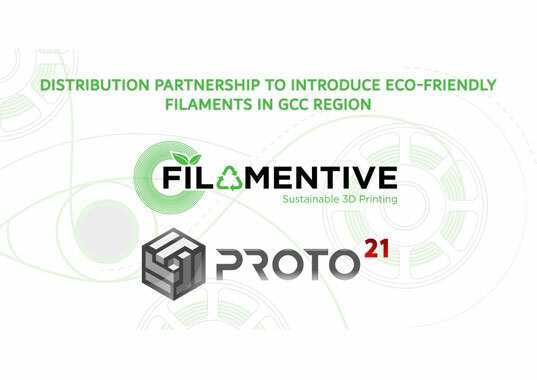 Leave a comment on Proto21 introducing high-grade environmentally sustainable 3D Printing filaments to GCC region. When it comes to the discussion of 3D printing vs. injection printing, which is better for your business? Both technologies have the same objective of manufacturing an object with the addition of the material. Both injection molding and 3D printing serve the same purpose of rapid development of a design or a prototype. Though, 3D Printing has made life easier. Prototypes that used to cost thousands of dollars and days to produce can now be done overnight at a lower cost. It has been common word out there that 3D printing is a good alternative to injection molding for rapid prototyping. What percentage of this is true, let’s discuss today. In terms of 3D printing vs. injection molding costs, the pricing depends on a number of factors. One of the most important involves the number of manufactured parts. Before creating the final product, you are more likely to design a prototype first. Once you finalize the design, all you need to do is print the object into its final form. This whole cycle has a different approach towards cost when it comes to 3D printing and injection molding. When it comes to unit prices, the unit costs of manufacturing the parts with 3D printing stay constant irrespective to the increase in the quantity. When it comes to low volume production 3D printing serves to be the best option in terms of costs. On the other hand, injection molding becomes more practical if there is a large volume of parts that needs to be produced. 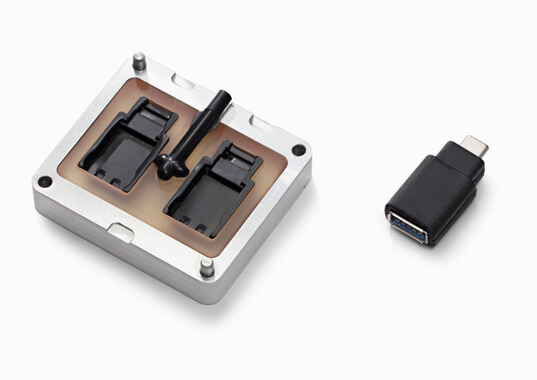 Injection molding is ideal for rapidly producing very large numbers of identical parts with tight tolerances. The procedure for manufacturing a single part with injection molding is much faster than the same part done with 3D Printing. This is because 3D printing manufactures the models layer by layer. On the other hand, during the injection molding process, a mold is filled with liquid plastic material. Depending on the size of the object, this could take a few seconds or minutes. A print mold can be used for approximately 30 to 100 runs which depends on the material being injected along with the material and the kind of 3D printing technology and material used to produce the mold. The ability to iterate and maintain agility are essential for any successful product prototyping. Spending a few thousand dollars on a mold which limits any changes for improving our product will most likely slow down our innovation cycle and cost us. When it comes to customization then 3D printing wins the race here because if offers a virtual format of the object in which you can easily make customization as well as do modification. Making any type of modification or customization in injection molding is impossible. Complexity of the object can drastically affect the manufacturing procedure so it is up to you to opt for the best suitable technology for production. This depends on the model we have in mind and the output that we are expecting. For hard engineering constraints and tolerances, injection molding wins. On the other hand, 3D Printing is better for complex designs. Every design is possible with 3D Printing due to its layer by layer structure. 3D printing allows you to be creative, giving you a freedom on possibilities on complex designs. Quality & Finish of Parts Manufactured. 3D Printed prototypes are not typically finished parts. Due to its layer by layer manufacturing the resolution of prints can’t match with Injection molded parts. They require machining or sanding to remove small rough jagged edges. Moreover, the printed holes must be post processed for better accuracy. On the other hand, injection molding is an industrial grade manufacturing technology which is made to provide high quality end user products. The final products are detailed with the finishes already applied. Like injection molding, 3D printing also has its downsides. Today, many 3D printing processes are expensive, slow, and may produce parts that are not up to industry quality or material standards. It is important to note that each technology has its own pros and cons. Depending upon your budget, time and requirement you can choose either. We at Proto21 can guide you and help you decide what technology is best suited for your project. Contact us now. Should you use ABS or PLA in 3D printing? The two most famous 3D printing materials are ABS and PLA. Both the materials are the type of thermoplastics which allow to shape them when heated and form a particular pattern when there are cool. Most of FDM printers are optimized to print either the ABS or PLA material, but there are some key PLA & ABS differences you need to be aware of. ABS stands for Acrylonitrile Butadiene Styrene, three monomers mixed and linked together. Used in array of industries worldwide, well known for its exceptional mechanical properties. ABS is stronger with higher temperature resistance, but it has bad odour. ABS prints also tend to warp easily when cooled down instantly after printing therefore it is printed in an enclosed chamber. It is not suitable for food contact & in-vivo applications. PLA stands for Polylactic acid, originally developed as bio-plastic. PLA is derived from plant starches found in potatoes, corn and soy. PLA works for wide range of 3D printing applications because it is so easy to use. It is very rigid and actually quite strong but is very brittle at the same time. ABS can withstand more stress and has high structural integrity than PLA. The PLA is mostly used for generic purposes. ABS will distort and bend before breaking whereas PLA more brittle and break under stress. In strength test, PLA withstands more weight before breaking. Both the ABS and PLA are adequate to 3D print any object due to having similar tensile strengths, but there are some applications which are suitable for one of the two materials. For both ABS and PLA, the print layers are quite visible after printing. Although PLA tends to have a good finish and gives out better surface quality than ABS. Both the ABS and PLA prints require can be sanded and drilled after printing, but extra care is needed with the PLA print. ABS has a matte finish, whereas in PLA prints are shinier. In post-processing ABS prints, Acetone can be used to smooth the layers and give it a glossy finish. ABS can be easily sanded and is often machined (for example, drilled) after printing, on other hand PLA post processing requires care. For high-temperature applications, ABS is more appropriate to use than PLA as it has glass transition temperature of 105°C compared to 60°C. PLA will rapidly sag and deform as the temperature increases and reaches 60°C or more. PLA is steady in normal environmental conditions however it will biodegrade within 50 days in industrial waste and three years in water, ABS, however, is not biodegradable but can be recycled with different industrial processes. ABS due to its strength, thermal stability and flexibility are used to make applications such as plastic toys, electronic housings, and car parts. PLA known for its aesthetic quality is used to manufacture bioplastics, plastic cups and also medical implants. ABS primarily has a high melting point. The standard temperature for printing is 230°C while the glass transition temperature is at 105°C. For PLA it is recommended to operate within 60º C, the material will start to melt at temperatures between 180°C to 220°C. The glass transition temperature for PLA is at 60°C to 65°C. For ABS a heated bed is required as the material tends to warp. A person also needs correct ventilation as the fumes from ABS are unpleasant and more toxic than PLA. Careful precautions are required during the melting process as it may cause skin, eye or respiratory irritation. The PLA is complete opposite when it comes to fumes as PLA exude sweet odor as it uses the sugar-based material. It is more convenient to use and would not warp or crack during printing. Each of the materials requires a dry location for storage as both are susceptible to moisture. Midair connections or bridges also print reliably with PLA particularly with a longer distance between anchor points. But whether you use ABS or PLA, it is recommended to use a raft and make sure your built plate is flat and level. Both materials offer different advantages. ABS is known for structural integrity whereas PLA is better known for its aesthetic quality. PLA is convenient and safer to use but is brittle and break under stress. It is more user friendly and gives a good 3D printing experience. On the other hand, ABS is stronger and more flexible but printing with ABS is not easy to handle. Whereas, ABS is stronger and more flexible but printing with ABS is not easy to handle. Anything which can be designed in digital space cannot be necessarily 3D printed. To identify the possibilities, it’s important to understand the rules to 3D printing. In any type of manufacturing, there are specific rules and limitations that dictate how you must design your product before manufacturing process. The same goes for 3D printing processes. Because of the design restrictions, printers need to follow a number of 3D printing design rules whether it is for prototyping or for manufacturing end-use products. 3D printing can be a bit confusing. There are numerous software, different materials, printers and printing technologies. So, it is clear that there is no one-size-fits-all approach. The limitations in 3D printing are related to the primary mechanics of additive manufacturing process. 3D printing is no different from other additive manufacturing processes. There are characteristics of hardware, software, temperature, and filament and many other factors that should be focused in detail while designing in order to transform your digital model into a 3D printed object. In this article, we will be discussing critical design considerations for a designer to avoid any mistakes while turning a 3D model into a 3D object. That what are the elements that should be looked after while creating components and parts for 3D printing? Understanding of these elements and the 3D printer design guidelines of each process will help the designer to master the process and able to manufacture certain 3D objects through 3D printing. When designing for 3D printing, is it essential to keep in mind the fact that your digital design will end up as a tangible physical object? As far as digital designing is concerned, there’s no law of physics to abide by, and the prime example is the gravity. Every 3D printing procedure will deliberately go by end-to-end layering and designing. It is nearly impossible to draw the 3D material on thin air which is the main reason that every 3D layer of the object must use some underline or withstanding material as support before the 3D object will get printed. Talking about overhangs, they are an area of the 3D model which might occur to support the object layer or may not support the object at all. Most of the 3D printers usually have a limit of an angle which they can adjust when printing the object without needing to help the 3D material until the allowed object anglegets exceed. The mere examples are FDM and SLA because these technologies can hold up the object angle for not more than 45 degrees only. It is better to keep the angel degree limits in consideration when 3D printing an object to avoid overhangs. Wall thickness is the second most important thing to keep in mind when designing a 3D object for printing. Most of the 3D printing procedure mainly compose the precise features of the 3D object which might be thin up to a certain level when printing them into a physical object. For the better results, it is wise always to check the wall thickness of your models. For The successful printing of a 3D model, it is suggested to keep the wall thickness more than 0.8 millimeters. The warping of the 3D objects may occur during printing due to the heating and cooling of the materials. The warping is more likely to happen when printing on a broad or flat surface. To avoid the warping while 3D printing your model, you must use an adequate surface area in grip with the proper usage of machine calibration. It is recommended to use a more circular edge for your 3D models for printing than using large and flat surfaces. Whenever printing a 3D model with a sophisticated level of details, it is essential to keep in the mind what can be the required feature size which 3D printer might be able to print. The primary link of the mechanism of your 3D printer of the required level of detail for 3D printing is with the competences of the selected height of your object layers. The material you will use in your 3D printing will decide the impact of your final 3D model. So, always try to make sure you have an adequate level of details set when 3D printing a design into a physical object. safely 3D print overhangs with as much as a 45 degrees angle overhang without any issue. If you are increasing the angle from 45 to above, then you are in the state of trouble, which in this case means droopy filament strands. Another thing to keep in mind when designing a part to be 3D printed is wall thickness. Wall thickness is the value that gives a 3D model strength and durability. Thin walls for larger surfaces can be crumbling by the printer just because it is unable to print it accurately. The thinner the wall is, the more fragile and disposed to damage and warping the model is. For the avoidance of getting damage figurine, setting up a thicker wall thickness will ensure resistance to the pressure you apply when removing support and processing the model after printing. When you are creating a 3D model with intricate details, it is important to keep in mind what is the minimum feature size each 3D printing process can produce. The minimum level of detail is connected to the capabilities and mechanics of each 3D printing process and to the selected layer height. The process and materials used will have an impact on the speed and cost of your print, so determining whether smaller details are critical to your model is an important design decision. Bridging is when we print a flat, horizontal part of the model midair. While using a support structure for such a role could be a solution, it often works to bridge the gap without using support. We will have to drag lines of plastic between already printed parts, in a way that the plastic won’t fall down when being printed. Fused Deposition Modeling happens on a building platform. Since models will be “built in the air”, they should be affixed to the supporting platform to keep them from crumbling. This joining is indicated as the “support” and is required for any model built utilizing this innovation. While keeping the model set up, it additionally empowers the development of components that stand out. After the making of building procedure is finished, the help is physically expelled. If it’s not too much trouble take note of that your model may show noticeable confirmation of the removed support structures. An escape hole is usually involved when creating an object with a hollowed-out center. A borehole diameter of 2mm is recommended these type of escape holes is required to remove unfused material from the interior, just leaving the printed object behind. A technique that saves on price, since less material is the result. The minimum pin diameter is known to be 1 millimeter. Even though smaller diameters are possible, 1 mm is the advised diameter to be used as it helps in maintaining the contour shape of the object. with a solvent after the printing process. In any cases, regardless to the technologies you’re using, it’s now widely accepted that 3D printing technologies allow for integrated assemblies. Some with more facilities than other. the tolerances and precisions of some 3D printing technologies are sufficient to create assembly that will simply “snap” together or will even be used for high performance goals. As a example, General Electric released a video showing how they successfully used additive manufacturing to create a fully working jet engine. The result is astonishing.With appropriate tolerances, parts with functional hinges, chain-link style textiles, and other types of moving components can be fabricated in a single print without the need for post-print assembly. This is one of the main upside of 3D printing when you want to manufacture a product since it can considerably reduce the number of necessary components to create your end product. There are different 3D printing processes, but the basic rules and guidelines are more or less the same in each process and vary depending on the material and type of 3D printing process being used. 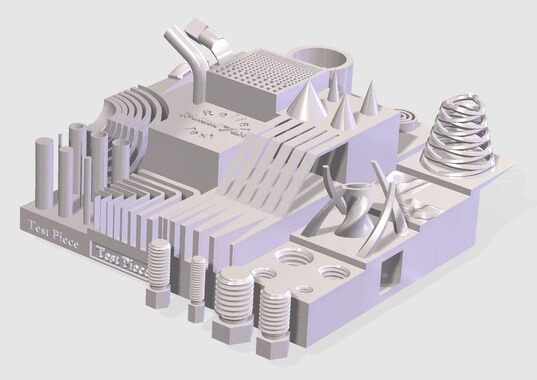 DfAM (Design for Additive Manufacturing) is a big umbrella which includes all the rules, considerations and parameters needed in additive manufacturing processes. 3D printing technology is advancing rapidly,and there are demand and need of designing and making more intricate, elaborate and workable objects. There are specific procedures which are necessary when making a physical object and similar guidelines are mentioned in the DfAM ‘Rule of Thumb’. These rules are fundamental when designing and implementing your 3D model. The 3D models to be designed must firstly fit the 3D printer build volume and either lie flat on the build plate or be supported. Support is one of the most keys, and critical part of the metal printing process and the measurements, placement, and geometry should be correct to prevent waste of materials, printing time and cost. The alignment and positioning must consider during the design stages as upward facing surfaces have sharper edges and a better surface finish. The process and materials used will affect the speed and cost of your 3D print, so it is better to determine the smaller details which are critical to your design. One should avoid large flat surfaces and round the corners to prevent warping. Determine the minimum level of detail your 3D model require and choose the 3D printing process accordingly.